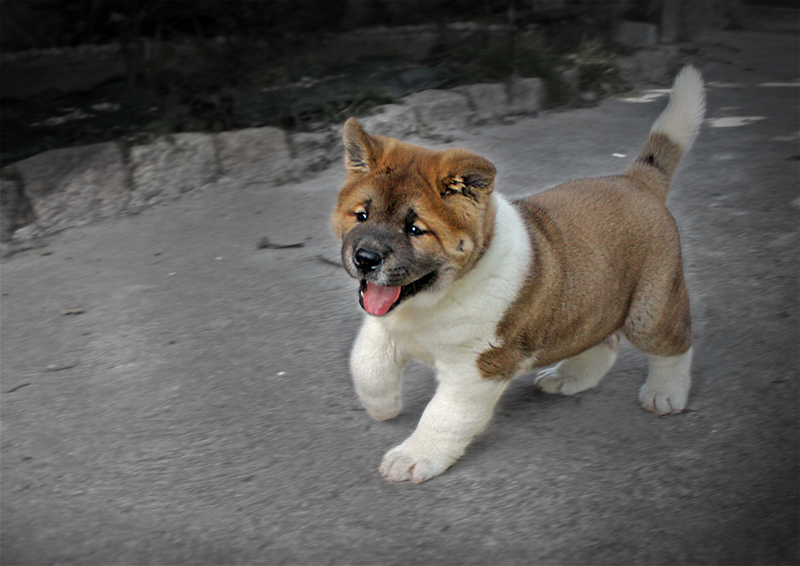 The Chow Chow is a sturdily built dog, square in profile, with a broad skull and small, triangular, erect ears with rounded tips. 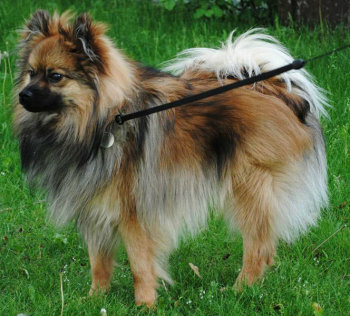 The breed is known for a very dense double coat that is either smooth or rough. :4–5 The fur is particularly thick in the neck area, giving it a distinctive ruff or mane appearance. The coat may be shaded/self-red, black, blue, cinnamon/fawn, or cream. :4–5 Not all these color varieties are recognized as valid in all countries. 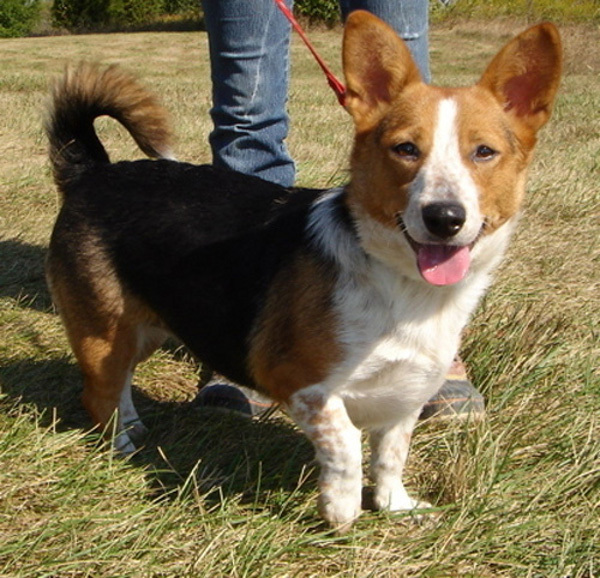 Individuals with patchy or multicolored coats are considered to be outside the breed standard. 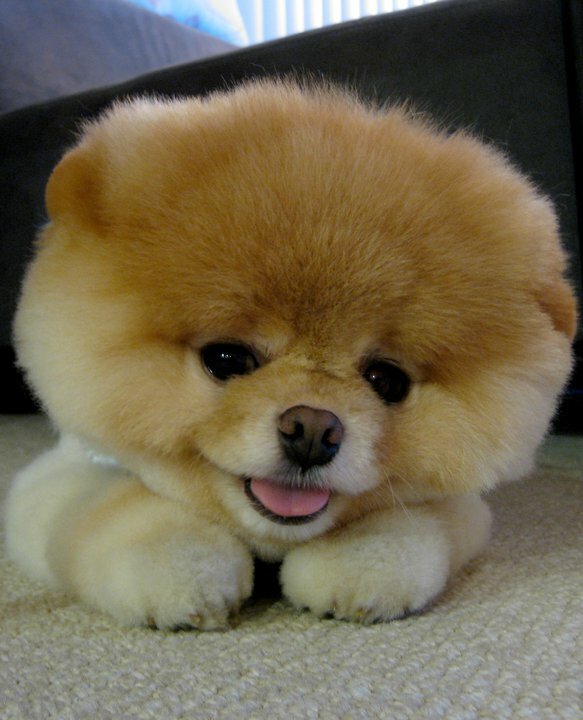 Chow Chow eyes are typically deep set and almond shaped. The breed is distinguished by its unusual blue-black/purple tongue and very straight hind legs, resulting in a rather stilted gait. :4–5 The bluish color extends to the Chow Chow's lips; this is the only dog breed with this distinctive bluish color in its lips and oral cavity (other dogs have black or a piebald pattern skin in their mouths). :4–5 One other distinctive feature is the curly tail. :4–5 It has thick hair and lies curled on its back. The nose should be black, but blue-coated Chow Chow can have a solid blue or slate-colored nose. 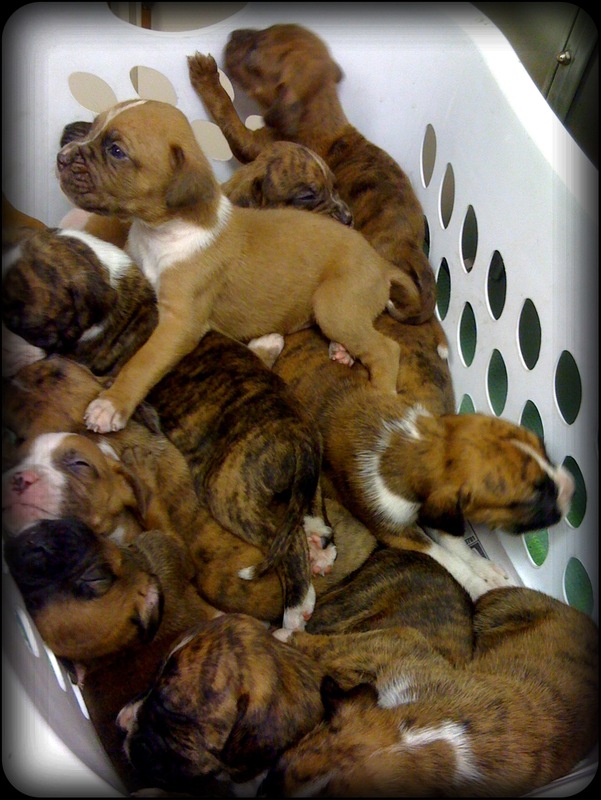 According to the American Kennel Club breed standards, any other tone is not acceptable for contests. FCI countries, however, do allow a self-colored nose in the cream.